New Orleans has quietly become a destination friendly to kosher travelers who want an alternative vacation destination to Orlando or Miami. As of the publication of this article, NOLA has 8 kosher eateries spread across 3 areas. Metairie, Uptown, and Downtown/French Quarter. 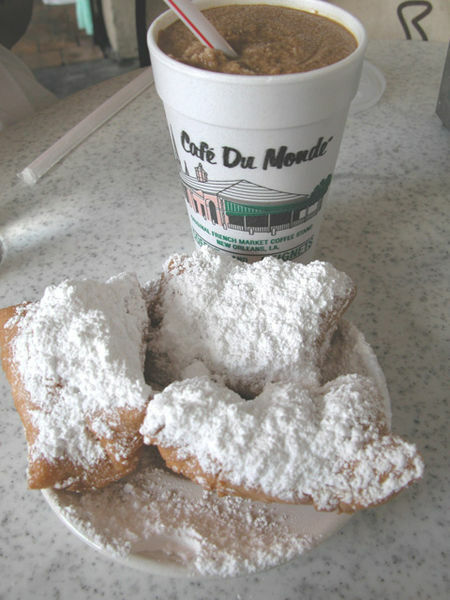 Cafe Du Monde – the original cafe only serves various types of coffee and its famous beignets (fried dough & sugar). It is located in the French Quarter right off of the Mississippi River and open 24/7 with the only exception being around Christmas time. Great place to grab breakfast or a snack. Kosher certification is under Rabbi Gabe Greenberg of Congregation Beth Israel in Metairie. The Tulane University Hillel has a kosher restaurant inside: Rimon – this restaurant is open to both students and guests, and serves breakfasts and Friday night meals as well. Kosher certification by Rabbi Yonah Schiller of the Tulane Hillel. 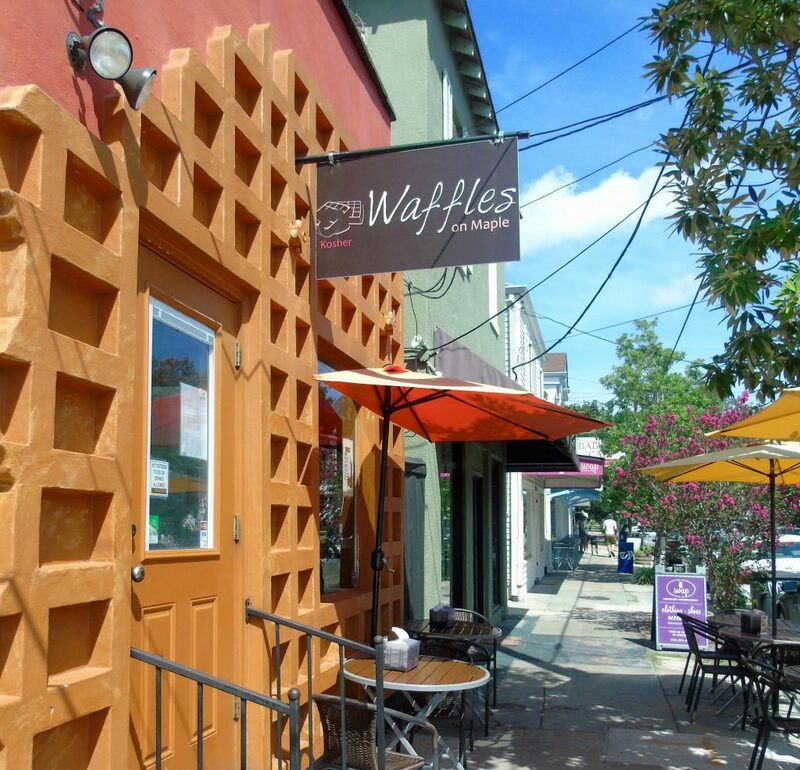 Waffles on Maple is a popular kosher restaurant in the Uptown neighborhood serving an array of sweet & savory waffles, eggs, grits, and other items like salads, paninis, crepes, and pizzas. It serves breakfast and lunch (or an early dinner) from 8am – 5pm Sunday – Thursday, and on Friday from 8am – 3pm. This location is Chalav Yisroel, and under the kosher certification of LKC (Louisiana Kashrut Commission). 2 Cafe Du Monde locations (these are not open 24/7) and both under the same kosher certification as the original location. Casablanca is New Orleans’s kosher Middle Eastern & Moroccan glatt kosher restaurant. The eatery also prepares Shabbat meals or to go meals for travelers. It’s open Sunday from 12pm-9pm, Mon – Thurs from 11am-9pm, and on Friday from 11am-3pm. Casablanca is kosher certified by the LKC. Kosher Cajun is the glatt kosher deli in town for over 30 years! The restaurant mainly serves as a NY style deli and market, and also has a few local ‘cajun’ style dishes on the menu as well. Kosher Cajun has a few additional offerings for travelers and businesspeople including Shabbat meals, meals to go, as well as kosher meals on china plating for business meetings at non-kosher restaurants or conventions. Kosher Cajun is open Sunday and Friday from 10am-3pm, and Monday – Thursday from 10am-7pm. Kosher Cajun is kosher certified by the LKC. Waffles on Maple – a new addition to NOLA as of last year, this branch of Waffles on Maple is kosher but not Cholov Yisroel.